Major Baggage: Flea Market Finds! This weekend in Pasadena is the famous Rose Bowl Flea Market that happens every 2nd Sunday of the month. I haven't been in forever and I have the itch to browse around... My favorite finds are always clutches & cashmere sweaters. 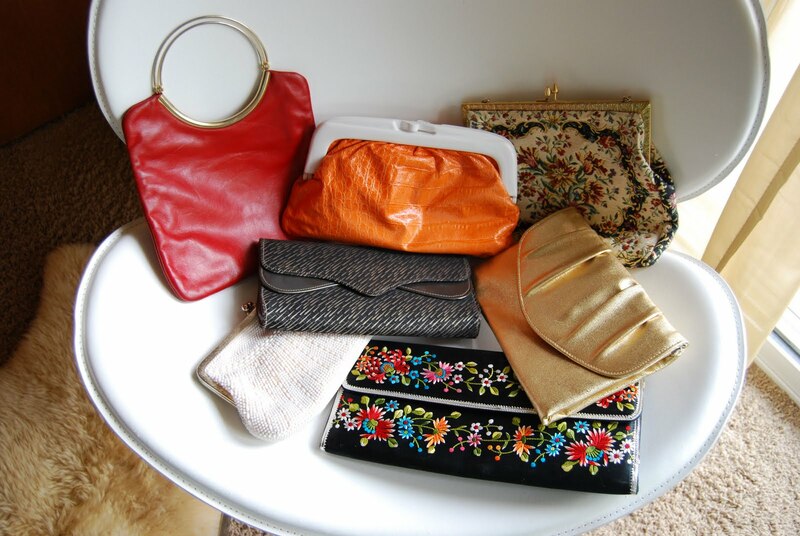 Below is the collection of clutches I have picked up over the years and still use to this day... Seriously, never paid more than $5 for any of these. Go grab a bunch - you can even tuck in a pair of fun earrings from Forever 21 and you have the perfect gift for under $10!